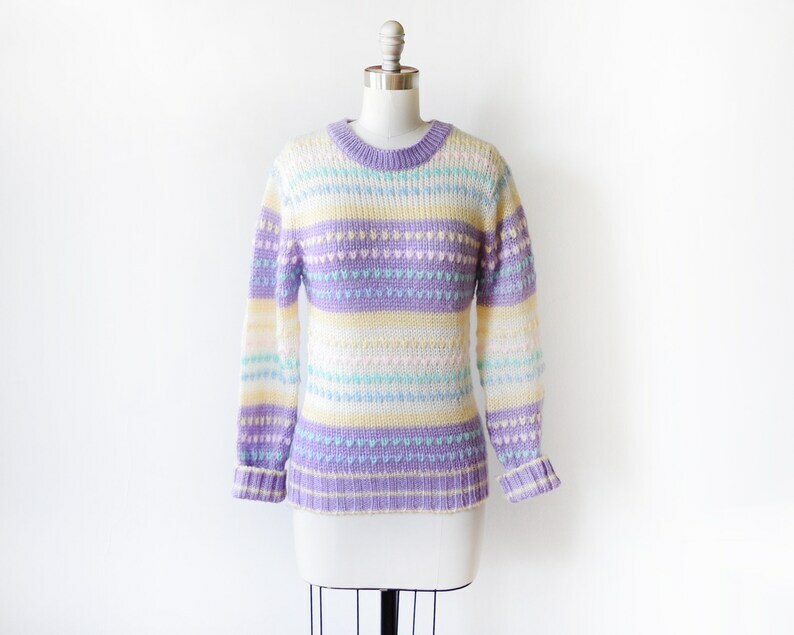 Cute vintage 80s pastel striped sweater. Purple with white and yellow horizontal stripes, accented with blue, turquoise, pink, and yellow dots that sort of look like hearts. Ribbing on the collar, cuffs, and hem. The knit is an open weave, so the sweater may require a garment to be worn underneath. The material is soft, a little fuzzy, and has some stretch.